DAVID LE/Staff photo. 2/14/15. 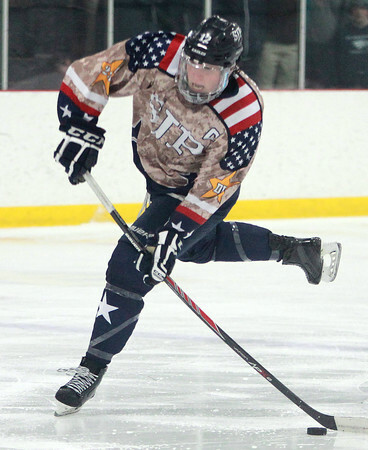 St. John's Prep senior captain Ted McNamara takes a wrist shot against Catholic Memorial on Saturday afternoon.